In my workshop YouTube, It's Not Just Cats & Khan Academy I share a lot of tips and tricks for safely using YouTube in your classroom. One of the topics that I always talk about is how to share and display videos. Here are three of the more popular tips from that workshop. 1. Remove distractions by using ViewPure. 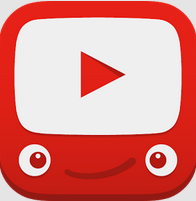 You can search for YouTube videos through the ViewPure website. When searching for videos through ViewPure you don't see sidebar content, you only see videos. You can choose to use strict filtering while searching through ViewPure. To be clear, ViewPure is not a filter work-around if your school blocks YouTube and it is not a tool for downloading YouTube videos. (Downloading YouTube videos is a violation of the YouTube terms of service). 2. Show just a portion of a video by using TubeChop. TubeChop gives you the ability to clip a section from any YouTube video and share it with others via a link or via an embed code added to your own blog or website. TubeChop lets you select a start time and an end time for an video that you share. 3. Create a playlist of videos. Save yourself some classroom downtime by having a playlist of videos ready to go when you need them. You can create playlists directly in your YouTube account. A video on how to do that is embedded below. Another way to create a playlist is to use Diigo. You can share videos within Diigo groups. Your students can watch the videos directly inside the Diigo group and don't have to go to YouTube.com to see the videos. This topic and others like it will be covered in much more depth during both Practical Ed Tech Summer Camps in July. Discounted early registration for the Practical Ed Tech Summer Camps is available now. Register by the end of the month and save up to $75!